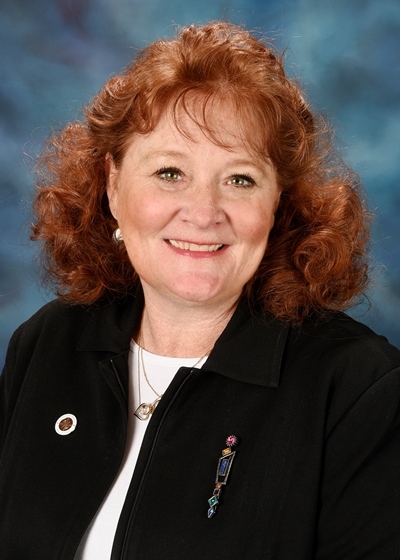 Thank you for visiting my legislative website. I am proud to serve as the State Senator from Illinois' 28th District, and hope you will find this site a useful resource in keeping up-to-date with what is happening in our district and in Springfield. Please contact either of my offices with questions or ways I can better serve you. SPRINGFIELD – Only about 18 percent of Illinois companies have women on their corporate boards, despite a recent study by the Credit Suisse Report that shows companies with women on their boards tend to be less risk-averse and have higher income growth. 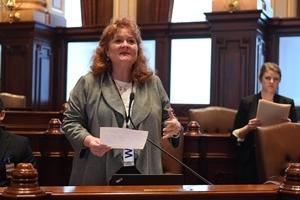 Today, State Senator Laura Murphy passed Senate Resolution 140 through the Illinois Senate, which encourages more equitable and diverse gender representation on corporate boards and urges corporations in Illinois to increase the number of women on their boards. "Women bring a diverse viewpoint to the workforce and promote higher corporate income growth. It’s past time for corporations to recognize this and ensure women are represented at the highest level in their companies,” Murphy said. Murphy is sponsoring the initiative on behalf of Women on Boards 2020, which aims to have company boards made up of at least 20 percent women by 2020. 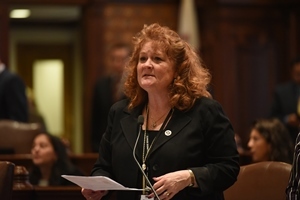 SPRINGFIELD- State Senator Laura Murphy (D-Des Plaines) advanced legislation through the Illinois Senate today to require insurance companies to cover an MRI if a patient is diagnosed with dense breast tissue, a possible indicator of cancer. Currently, insurance companies are only required to cover an ultrasound in Illinois. “This is a significant, life-saving step forward for women, and I’m proud to advance it days after thousands of women rallied at the Capitol to support women’s health care,” Murphy said. Studies show that dense breast tissue can be up to six times more likely to develop cancer. Because cancer is a non-fatty tissue, it can also be harder to detect within dense breast tissue. An MRI can find up to an additional 8 percent of breast cancers not initially detected by a mammogram or ultrasound. 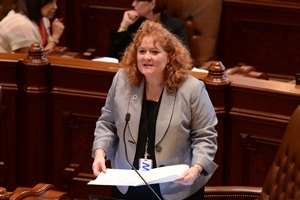 The legislation, Senate Bill 314, passed the Illinois Senate unopposed and will now head to the House for consideration. SPRINGFIELD- In the midst of a year of nearly record gun violence in Chicago, the Illinois Senate passed legislation to require gun dealers to obtain a state license. The license can be revoked or the dealership fined if the dealer is involved with the sale of illegal firearms, similar to laws in place in 26 other states. 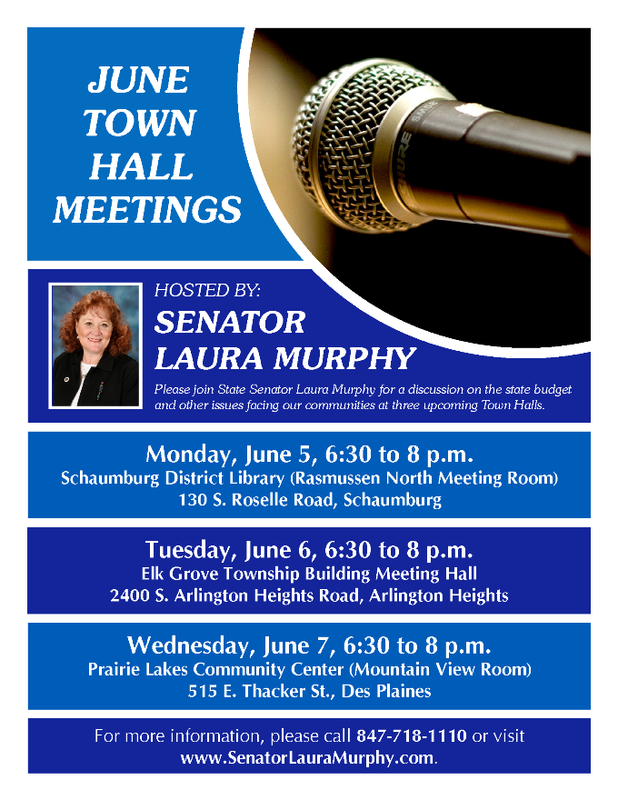 State Senator Laura Murphy (D-Des Plaines) was a co-sponsor of the legislation. “Every week, kids across the country are being needlessly killed by gun violence. This common sense measure will keep guns out of the hands of criminals and save lives in our own neighborhoods,” Murphy said. The legislation, backed by the Council Against Handgun Violence and the Illinois Gun Violence Prevention Coalition, seeks to prevent corrupt gun dealers from selling guns to criminals. • 17 percent of all gun crimes in Chicago come from just three of the state’s 2,400 gun dealers. • 40 percent of guns used in crimes between 2009 and 2014 came from Illinois. • Of the top 120 firearm dealers that sold guns used in a crime between 1996 and 2000, thirteen dealers were located in Illinois – the second most of any state. The legislation passed the Illinois Senate and will now head to the Illinois House for consideration.